My grand-daughter was over today with my great-grandson of 2 months. Well, I just had to sit at my computer with him, so he could see all of David’s pictures (I have them as my screen saver). After a short time, I just had to play David’s song Let’s Talk about Love. The baby just sat there listening to the song, happy as could be. I said maybe some day you will grow up to be like David. One can only hope. But you never know my grandson is second cousin to Ryan Sheckler the skateboarder. 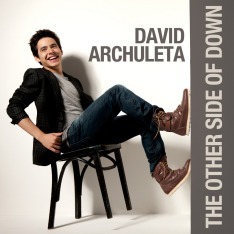 Whenever he comes over, I will always tell him about my Idol David Archuleta.